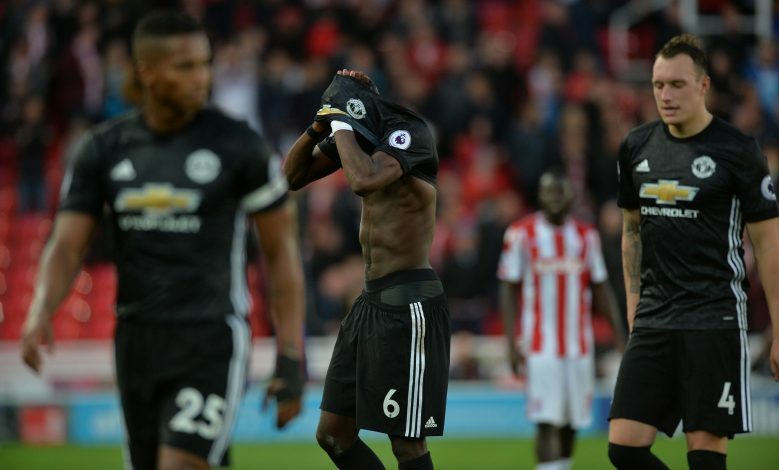 Manchester United dropped their first points and conceded first goals of the season in a disappointing draw against Stoke City away from home. 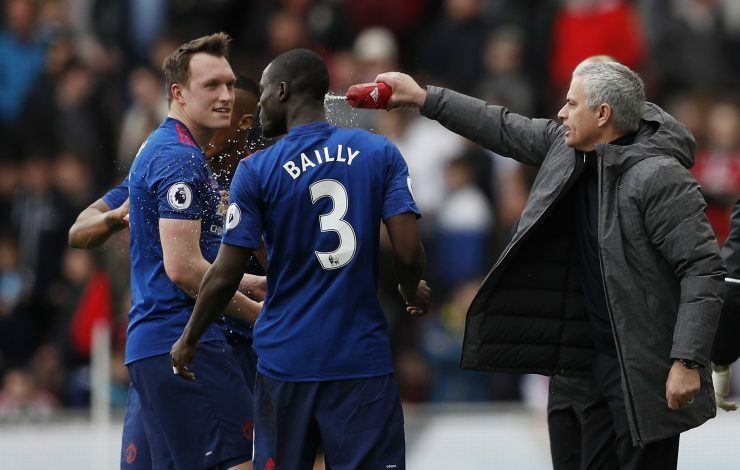 In a match that finished 2-2, Jose Mourinho’s side did not look anywhere near the level they have showed so far this season. The English goalkeeper made a strong claim to be involved with England’s international setup. Butland looked confident and prevented his goal well every time he could. Can’t be blamed for any of the goals. The Chelsea loanee put in a great performance, as the stocky defender dealt with the Manchester United attacks well. Easily the best defender from his team. The American was good at playing the ball out from the back, and looked solid before being substituted at half-time. Reports suggest he picked up a hamstring injury. The former Tottenham man seems to be out of rhythm with his new team. Looked shaky with his passing and could have done better defensively on a few occasions. The wing-back turned striker was a potent force going forward on the right wing. Gave Darmian a lot of problems with his pace down the right flank. Made a beautiful cross for the opening goal of the match. The Welsh midfielder wasn’t at his best. Showed his typical energy as he covered a lot of ground. However, gave the ball away too cheaply for Lukaku’s goal. 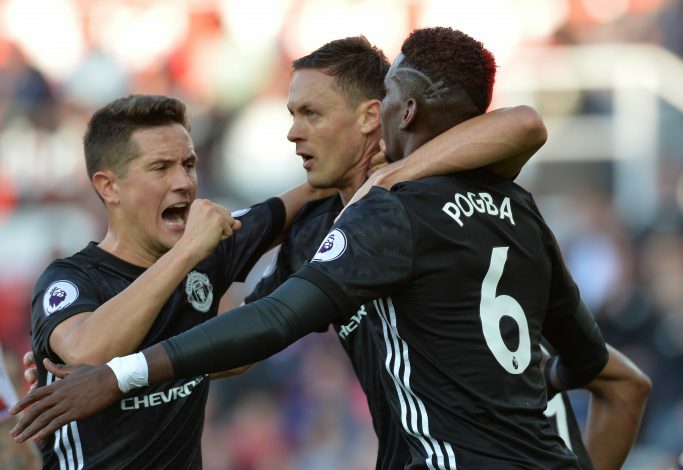 The former Manchester United man showed great passion in the game. Contributed to the attack and defence. The forceful Dutch left-back made some good forward runs to cause Manchester United a few problems. Dealt with Rashford’s pace well. The tricky Swiss was full of flair and pace, as he often is. The former Bayern Munich player threatened while cutting in or going wide during the whole game. With 2 goals to his name, the former Schalke attacker was the best player on the pitch. Took both his goals well and showcased great trickery to get away from Valencia on a couple of occasions. The former Real Madrid man couldn’t repeat his match-winning performance against Arsenal. Tried to do too much on his own. Came close to scoring, but was denied by a brilliant stop by his countryman De Gea. Subs: Saido Berahino: 6, Bruno Martins Indi: 6. The Spanish goalkeeper was tested much more than he has been so far this season. Pulled off a couple of good saves but was powerless against the two goals he conceded. The Ecuadorian was a real threat going forward, as he bombarded the Stoke penalty box with crosses. Could have done better in the defensive situations though. Bailly had a game to forget – his first this season. 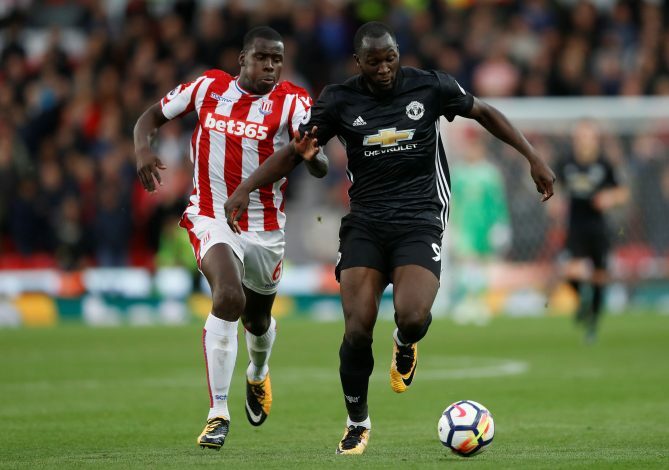 The defender was not composed enough for the first goal, as he player Diouf onside before allowing Choupo-Moting to get ahead of him to score past De Gea. Much like his partner, Phil Jones also had a horrendous game. Was caught off-balance for the equalizer nodded in by Choupo-Moting. The Italian wing-back was given a chance to start ahead of Blind, however, it turned out to be shocker for him and the coach as well. Did nothing noteworthy whole game. Expect Blind to be back for the next game. The Spaniard got his chance to make a case to be starter, but blew it. The star of Manchester United’s midfield from last season looked rusty and off pace. The contender for the title ‘signing of the season’ had his worst game with his new team. The Serbian midfielder was caught on the ball a couple of times, and wasn’t at his creative best. Playing in an advanced role tonight, Pogba had the license to kill. He did deliver with an assist for his team before the half-time, however, the fans would be expecting the record Premier League signing to do even more. Scored a goal he knew nothing about, as it went in off his head after Pogba’s effort. Looked sharp in the initial stages of the game, but faded as the game passed. The Belgian added another goal to his explosive start to the Premier League season. However, should have won his team the match late in the game, after Martial presented him with a glorious opportunity, which he blazed over. Should’ve officially gotten an assist for his terrific through ball for Lukaku’s goal. Showed his class at times, but wasn’t at his best today. Subs: Juan Mata: 6, Anthony Martial: 6.5, Lingard: 6.